During the first three weeks of April this year, the Modern Moves research team travelled from New Orleans northwards to Chicago by rail and by road. 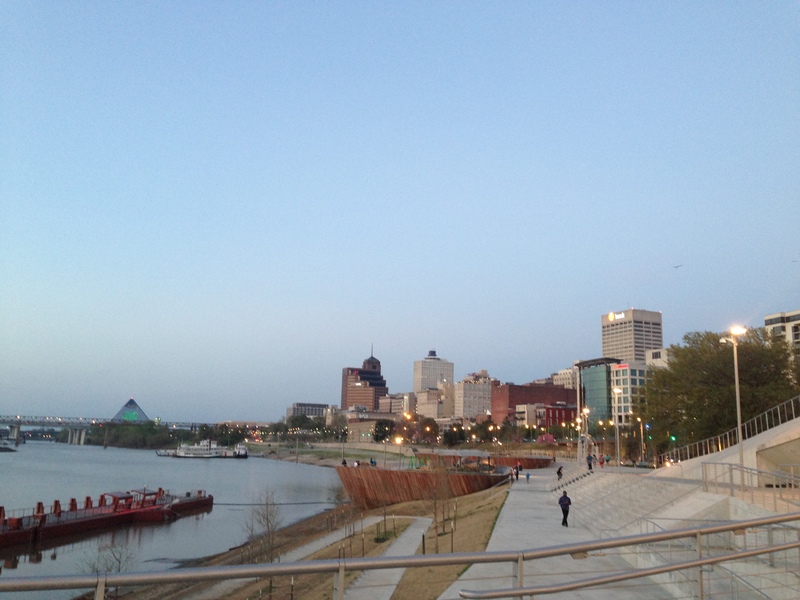 En route, we stopped at Memphis, Carbondale, East St Louis (and St Louis) and Kansas City. 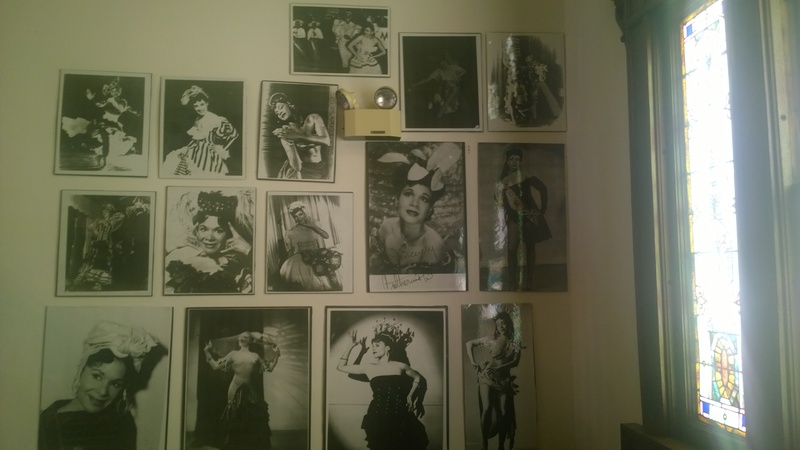 We marvelled at intricately embellished mardi gras costumes in New Orleans, spent a week immersed in the archive of Katherine Dunham in Carbondale and managed a day with Alvin Ailey’s private papers in Kansas City. 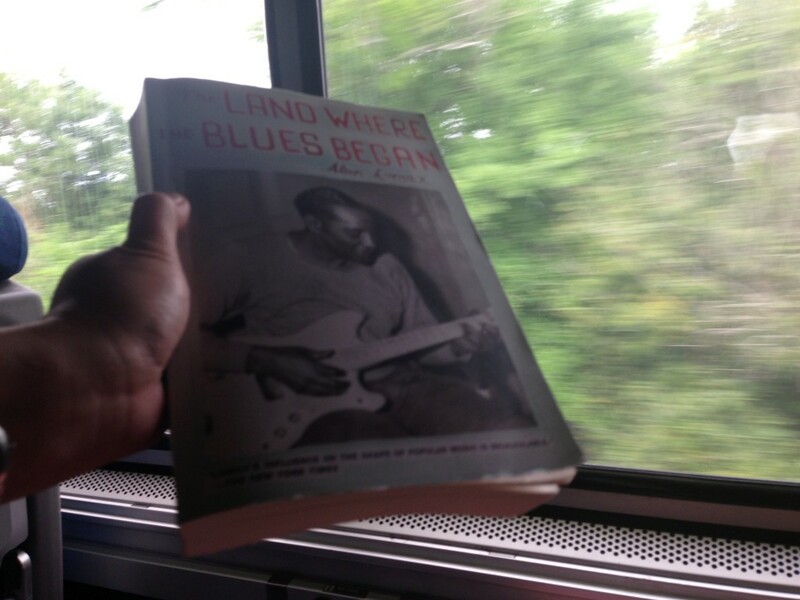 We enjoyed live jazz and blues throughout our journey even while absorbing their complex histories in museums in Memphis and Kansas City. We danced to live music in venues shaped by a symbiosis of music and sport — from New Orleans’s Rock n’ Bowl, where bowling alley, stage, and the dance floor share space, to Chicago’s famous Sports Bar Cubby Bear, across the road from the iconic Wrigley Fields stadium. We ate soul food at Oprah Winfrey’s favoured ‘Sweetie Pie’s’ in St Louis and compared Memphis ribs to their Kansas City counterparts, went grocery shopping in the back of a Chevrolet truck, and stopped at a McDonalds in the absolute middle of middle America (Iowa). We spent a night (inadvertently) in a Kansas City Casino hotel with the aptly-named nightclub ‘Voodoo Lounge’, that harked back to the New Orleans ‘Voodoo tour’ we went on at the beginning of the road trip and looked forward to the exhibition on Haitian Vaudou that we visited on our last day together in Chicago. 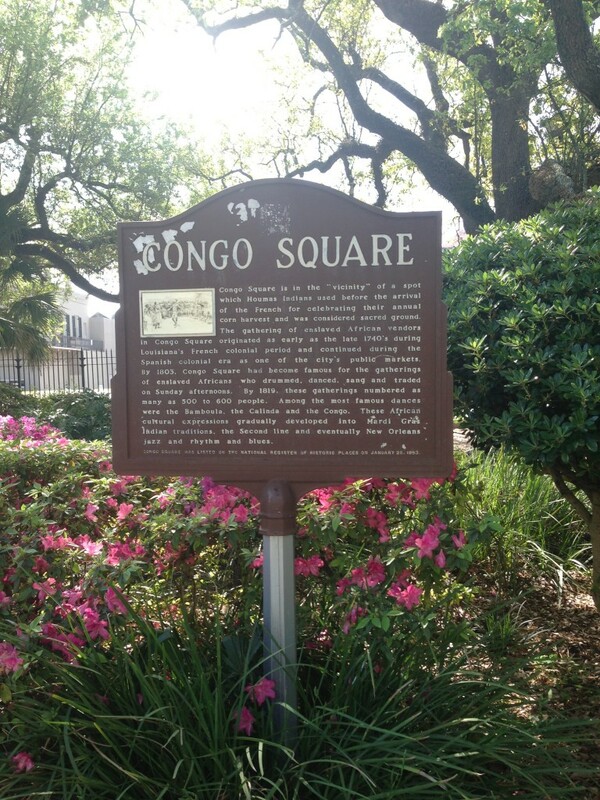 On our first day in New Orleans, some of us walked through Congo Square, where slaves and free people used to mingle, make music, and move together. Our destination was the Backstreet Museum (about which, more late in the Moving Story). 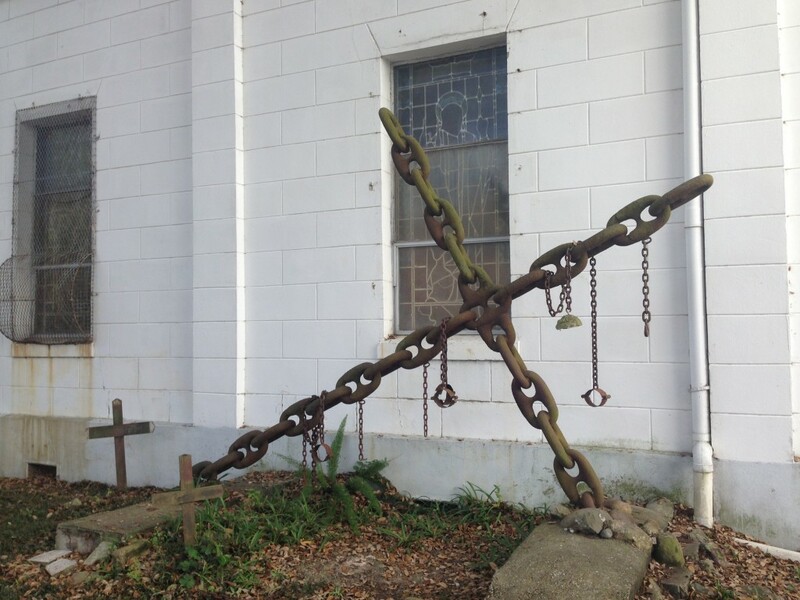 Behind the museum– actually a former funeral parlour– was the St Augustine Church with a monument to slavery in the form of a fallen cross made of chains and shackles. All around were beautiful houses of the Treme quarter originally built and inhabited by German immigrants to the city. The combination of European, Native American, and African/ African-American elements typified the way we learnt about the creole and Cajun culture of New Orleans and the hinterland of Lousiana—through walking its streets, appreciating its architecture, tasting its cuisine, and absorbing its soundtrack. 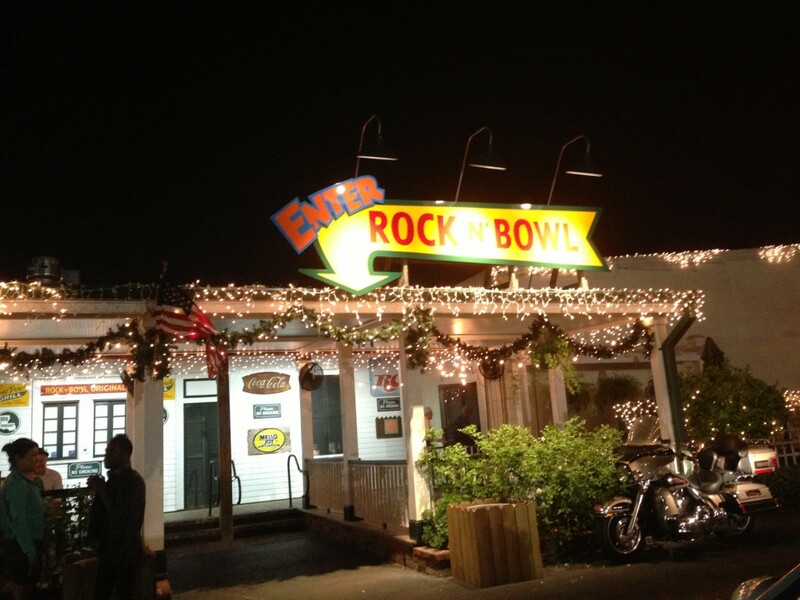 As far as the soundtrack went, we were very fortunate to enjoy an evening of frenetic live music and dancing at a ‘zydeco night’ at the Rock n Bowl. The two-step couple dancing was unbelievably ungainly and yet energetic and fun, and Ananya could use it to refine her hypothesis of ‘gaucho dances of the Americas’ (basic clue- see if you can spot a cowboy hat). 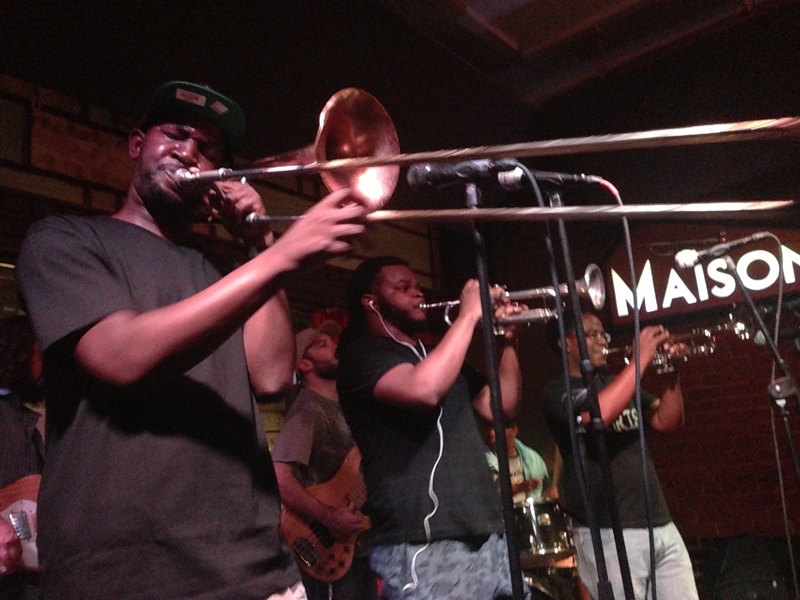 Apart from this, in New Orleans we enjoyed different kinds of live music—jazz played by brass bands as well as more hybrid sounds and looks. 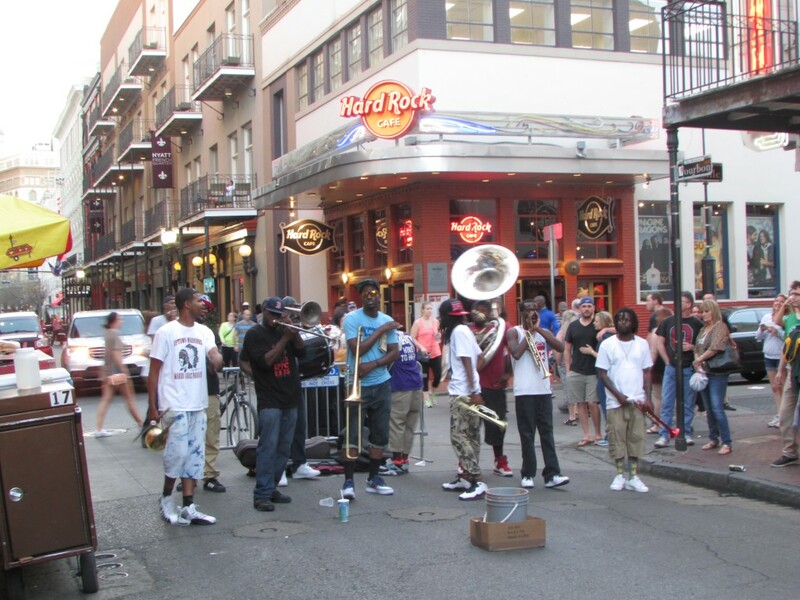 The juxtaposition of Bourbon Street and the French Quarter with Frenchman Street and other venues for dance and music (such as Rock ‘n’ Bowl and the Hi-Lo Lounge where rare soul and funk was playing on Saturday night) clarified the spectrum of music and dance practices in the city known primarily for jazz, as well as the range of commodification practices within which an ‘authentic’ culture lives and proliferates. 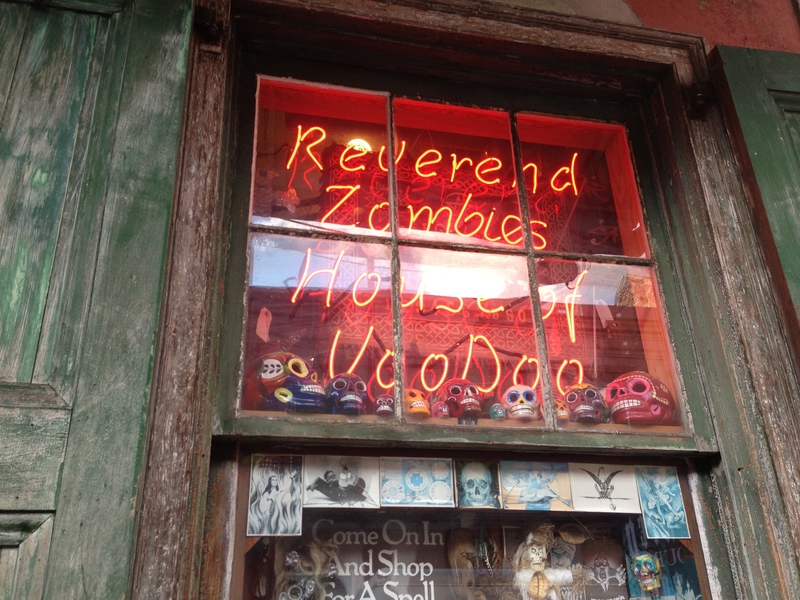 In this context the voodoo tour we did on our last evening in NOLA also vivified the ongoing relationship between historical, emotive, spiritual dimensions of voodoo and its susceptibility to sensationalism and commodification. Our days in New Orleans set the tone for the rest of this marathon research journey. Our intention was, literally, to follow the music and dance on its historical and spiritual trajectory from the melting pot of New Orleans to the great cities of the American mid-west, to feel the rhythms and the cadences of this rich history in situ, to supplement our work in archives and museums with the feel of the road, the changing geography of three vast states under unchanging wide skies, and the majesty of the Mississippi and the Missouri rivers that indelibly shape the land and its culture. In the process we learnt an immense amount about the ways in which race relations in the USA have been responsible for the music and dance styles we call ‘African American’, and how this process can enrich the research agenda of Modern Moves: to explicate the relationship between Afro-diasporic dance styles and the creation of the modern subject. This is a complex history of creolisation, appropriation and exchange that Eric Lott has summarised as ‘love and theft’, and to which we would add the ingredients of labour and leisure, work and play, sweat and style. In this Moving Story, each team member presents some reflections (and visual memories) of a favourite aspect of the road trip. We hope you enjoy reading about our experiences, which will take more formal shape as research articles in the near future! 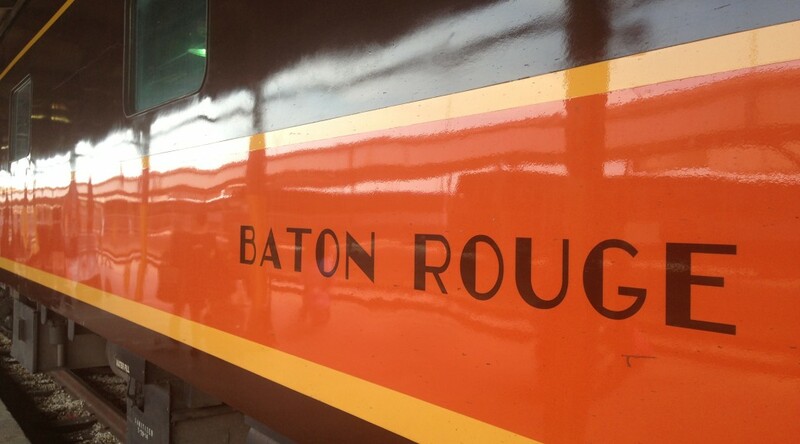 New Orleans was the starting point of the Modern Moves team’s journey through the US. While discovering the musical gems of the Crescent City, we also attended the Popular Culture Association/American Culture Association National Conference held at Hotel Marriott in New Orleans (April 1-4). 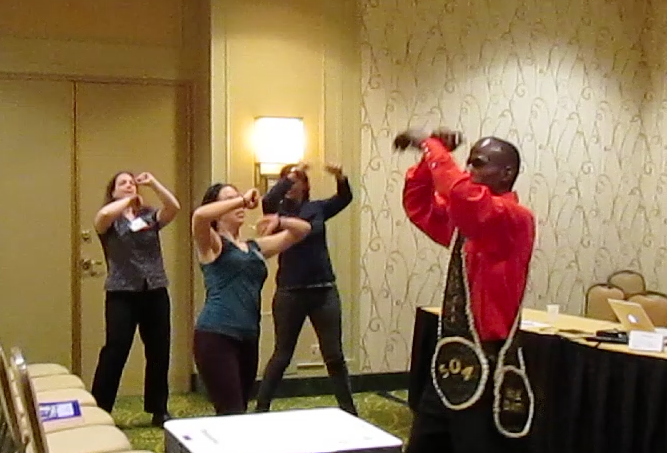 There we presented a panel entitled “Afro-Diasporic Social Dance and the Transnational City”. Interestingly enough, this panel unveiled our imminent journey from south to north, through the prism of cities that played a very important role in the development of worldwide acclaimed music forms such as blues, jazz and rock’n’roll. 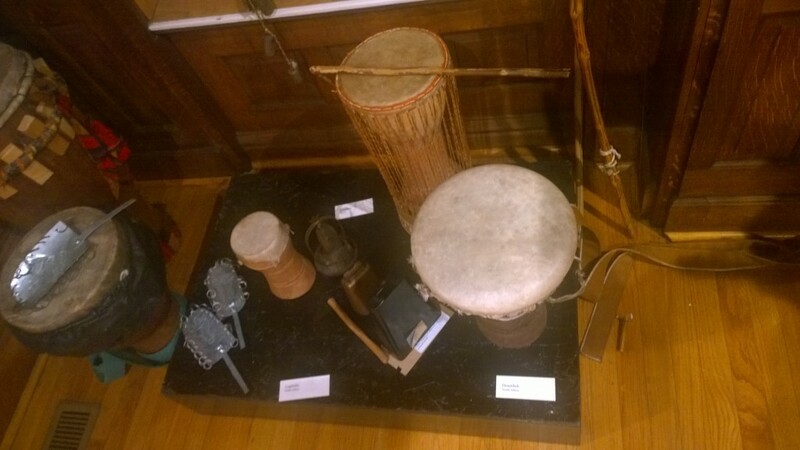 In New Orleans, I was happy to discover the actual décor of HBO series Treme which gave a significant overview of the diversity of the multiple music genres that can be found in the heart of Louisiana. Walking down on Bourbon Street or Frenchman Street, live music is everywhere day and night, filling the air in a delightful urban polyphony. One can go from place to place to listen to a specific live band or just enjoy some street performances. 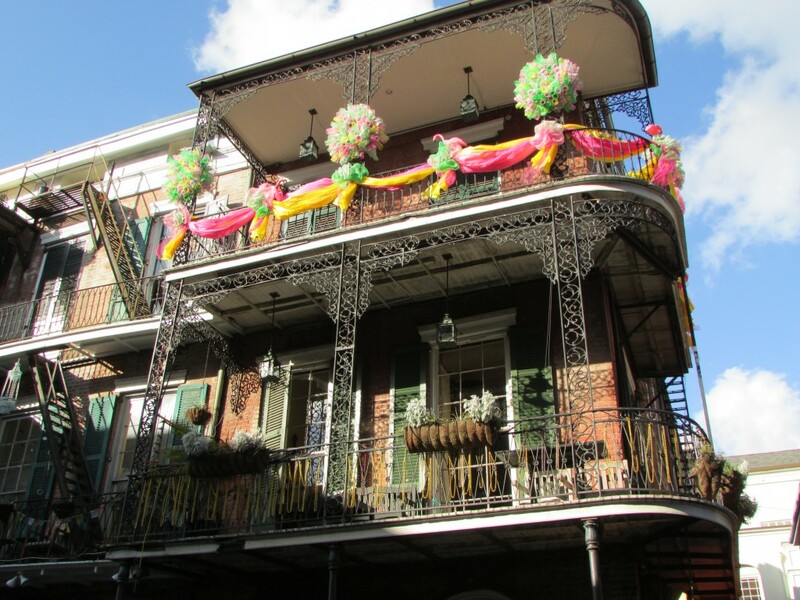 The atmosphere is full of joy and the colourful plastic beads are scattered across the streets or hanging on the wrought iron balconies, a distinguishing feature of New Orleans architecture. 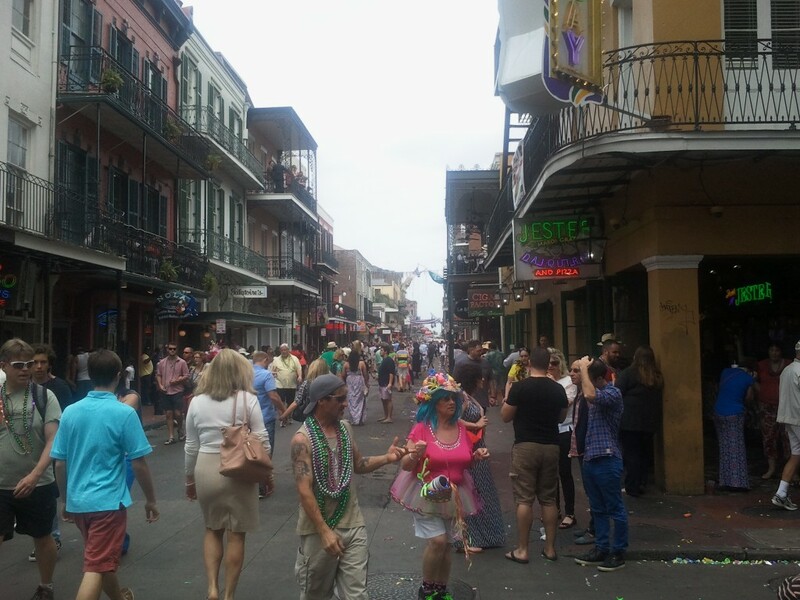 Thanks to a series of visits organised by the Conference, we were able to get a particular idea of some specifics performance genres peculiar to New Orleans, such as Mardi Gras Carnival and its different components. 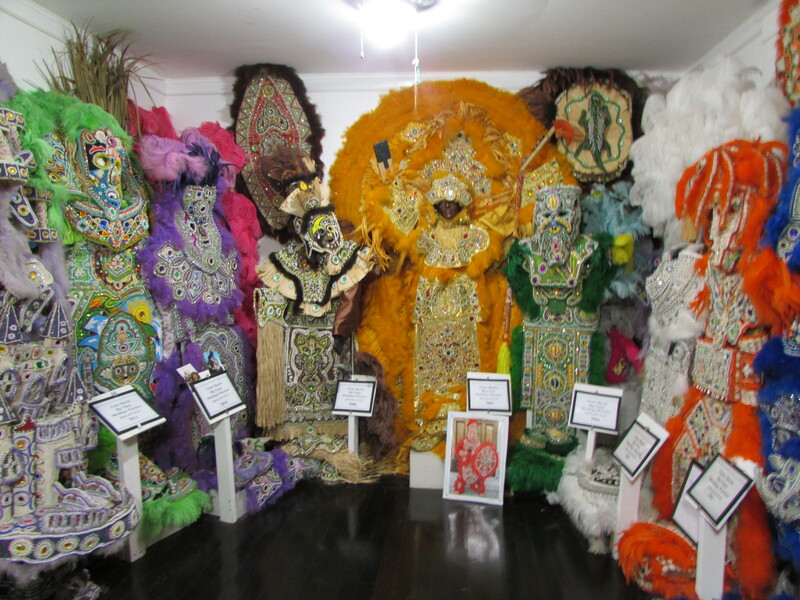 What struck me the most was certainly the flamboyant costumes of Mardi Gras Indians as well as the Second Line phenomenon. The small but packed Backstreet Cultural Museum allowed us to get a glimpse of these fascinating performative forms, both conflating but in a very different way Afro-Diasporic heritage with elements from the New World: brass bands for the Second Line parades and Amerindian identification for Mardi Gras Indians. Full of new ideas about how we can address with even more complexities the issues raised by Afro-diaporic identities through music and dance, we left New Orleans on the threshold of the start of a Second Line Parade, swimming against the tide of the crowd with only one wish: to come back! Few streets in America are as festive and lively as Beale Street, the Rock and soul of downtown Memphis. Though today Beale Street is flanked by neon signs, down-home style bbq rib joints and live music venues, historically this bursting thoroughfare was the place where black Memphis did its shopping in a sharply segregated city. 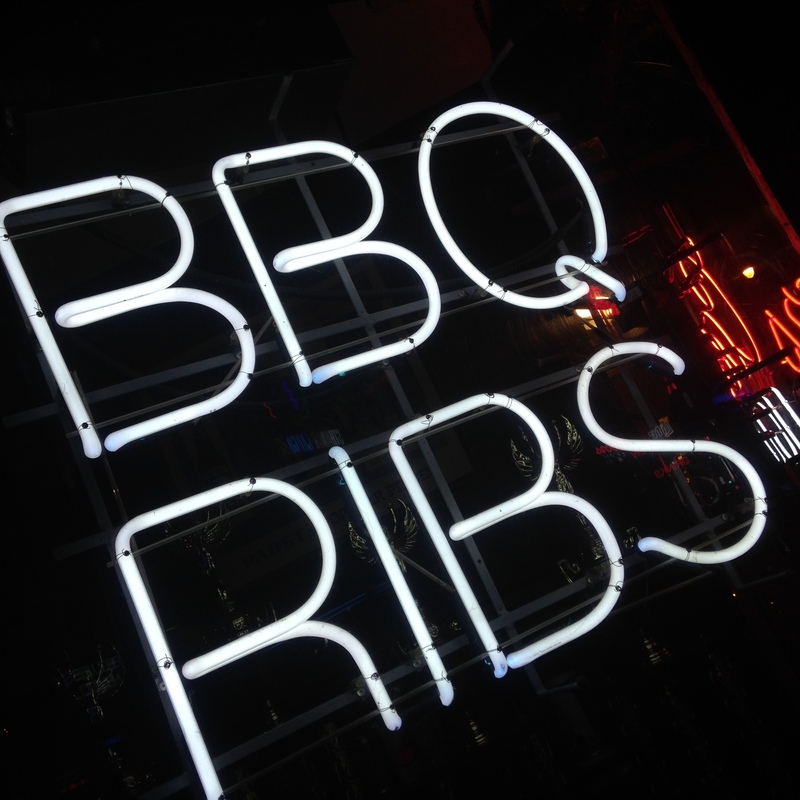 A neon sign advertising a Memphis BBQ ribs joint. Photo Courtesy of Madison Moore. Many of the places blacks shopped were owned and operated by Jewish and Italian immigrants who were pretty much the only ones willing to do business in the black community at the time. 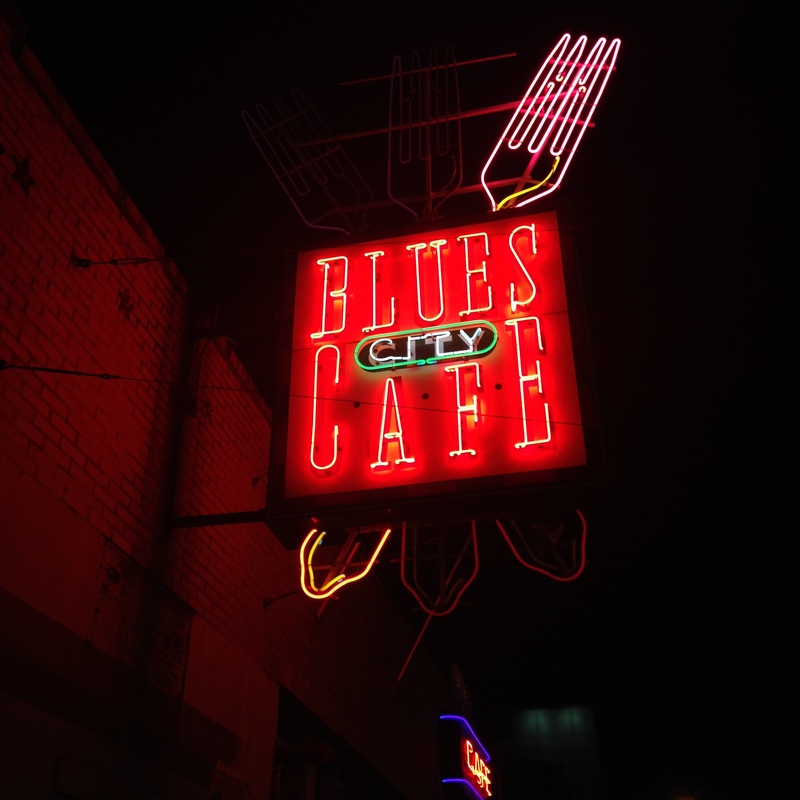 One of many Blues Cafes on Beale Street. Photo Courtesy of Madison Moore. Of course, Beale Street was also where good music was played and heard. 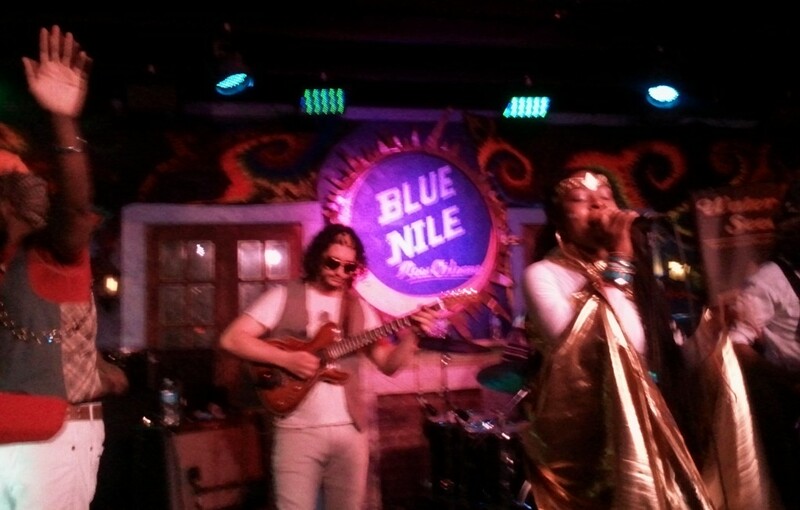 We wandered around town in search of uplifting live music – a must if you’re in Memphis even if only for one night. Finding good music was a lot more challenging than it seems not because there wasn’t any but because there were so many options! Nearly every crevice of Beale Street had blues, soul, bluegrass and rock pouring outside. 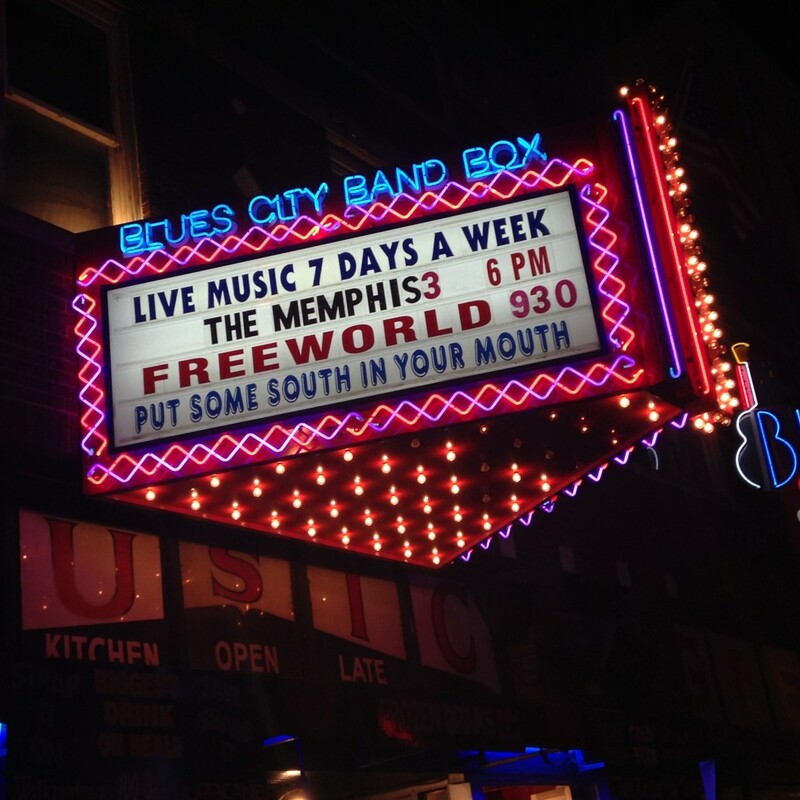 Music in Memphis, 7 Nights A Week. Photo Courtesy of Madison Moore. The sounds slathered the air like some of that good old Memphis bbq sauce. I immediately connected to a street band performing to a tiny crowd in a small garden. Two guitars, a saxophone, a vocalist and a drum kit hit us with some serious rock and roll. Man, they were on fire. It’s always interesting to watch how people respond physically to certain styles of music. There was one guy in a bright orange shirt whose signature move was him getting on the ground like he was doing army style push ups, but the thing is he positioned his crotch so it went in and out of the tip jar every time he did a push up. I left the band a five dollar tip but now I’m wondering how many pelvic tip-jar thrusts I would have had to do to equal five dollars? 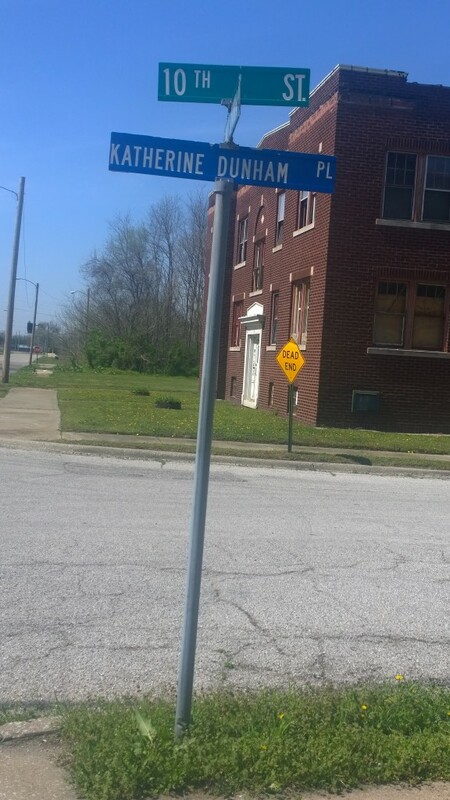 Soulsville, home of the legendary Memphis label, Stax Records. Founded in 1962 by Jim Stewart and Estelle Axton, it is infamously known for Southern soul music, the combination of rhythm and blues, gospel and funk. 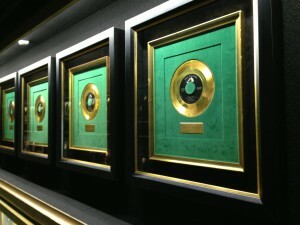 Otis Redding, Isaac Hayes, Sam and Dave, the Staple Singers are some of the icons brought out during the period Stax Records flourished in the 13 or 14 classic years of southern Soul music. 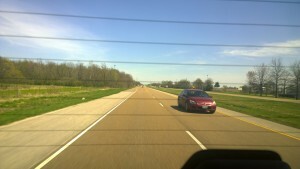 The drive into Soulsville itself was a curious mission. I was struck by the cab driver’s not so subtle undertones as he ridiculed then neighbourhood we drove through. The Stax legacy is tied strongly to the integrated effort of desegregation through music in a time of racial strife in Memphis and the South. Strangely the combination of our white taxi driver condescendingly joking about a majority black neighbourhood (to a carload of passengers spanning the race spectrum) and the apparent deprivation of a place called Soulsville left a rather muddled impression of Stax even before we arrived. The museum led me on a walk through different times and rhythms, including the different musical histories of gospel, blues, country and soul, within these the role of the church, the cotton field and the civil rights movement, the rise and demise of Stax with the death of Otis Redding and the assassination of Martin Luther, and the final takeover of the label by Al Bell. 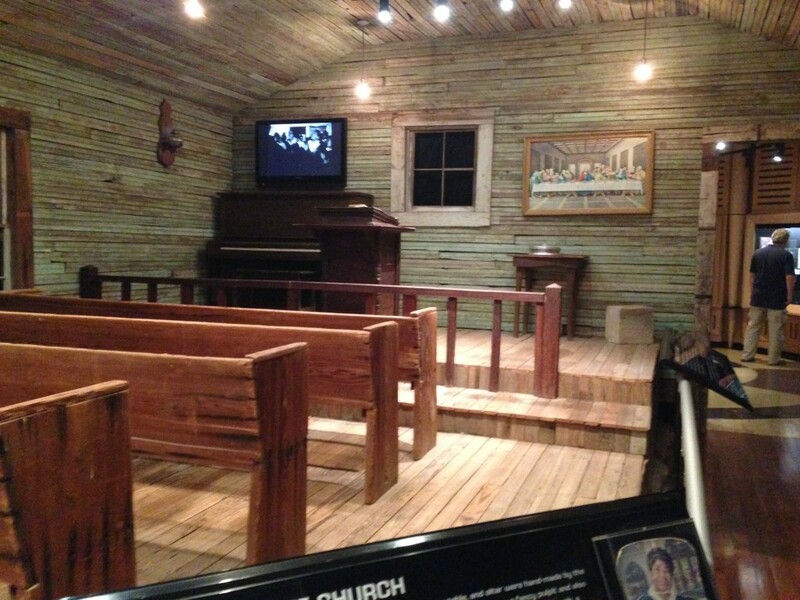 As one of only a few museums dedicated to soul music, there was many a heartfelt moment: seeing an authentic 101-year old Mississippi Delta church transplanted to the middle of the museum in order to show the beginnings of gospel roots and soul music (see the photo above); stage costumes and original instruments used in Stax hits (see below); even the dance floor from Soul Train. And the one moment I wanted to last forever, was when I found myself standing in front of ‘Eldorado’, the 1972 gold-trimmed, peacock-blue restored Cadillac of Isaac Hayes himself. 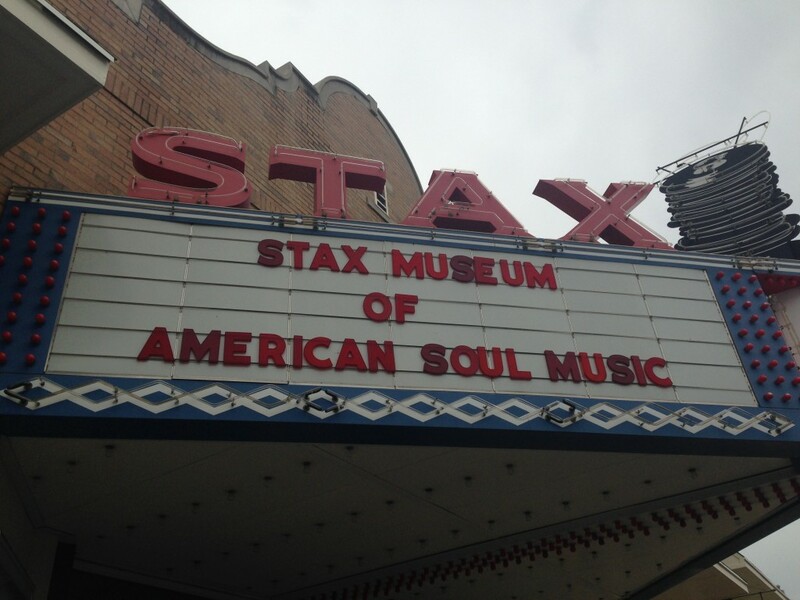 Not only did Stax’s name represent challenges to racial politics overall, but an integrated effort with profit into community building in Soulsville and wider Memphis, amongst the black community primarily. 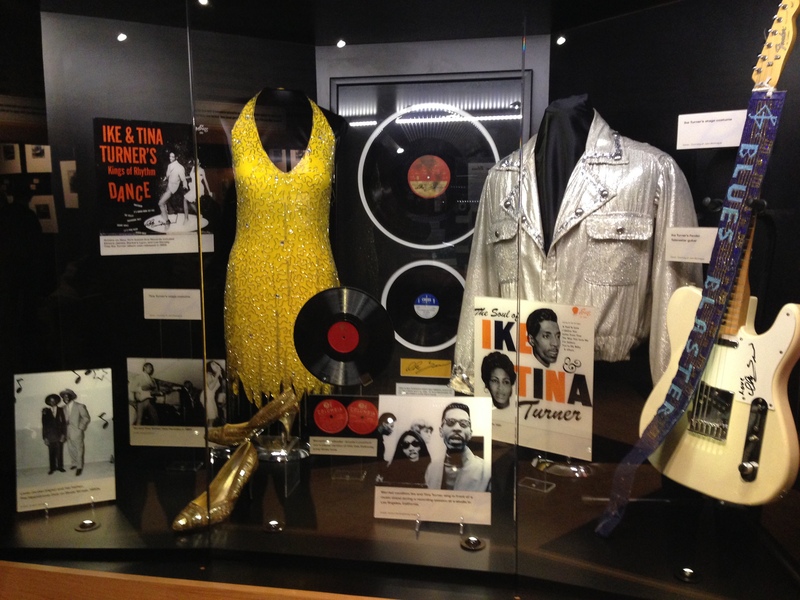 Yet, the hostile remarks of the cab driver towards the community, and the drive itself through a desolate and deprived community which houses this rich museum, left Stax seeming more a singular token out of time. Memphis, Tennessee: a truly historical city for the development of popular music out of African American roots, Memphis is way more than Elvis’s Graceland, though we did pay our homage to the King, of course alongside The Rock and Soul Museum, Stax Records and Sun Records (both projects of white lovers of black music in a highly segregated city– see Leyneuf Tines’s account of Stax Records above). 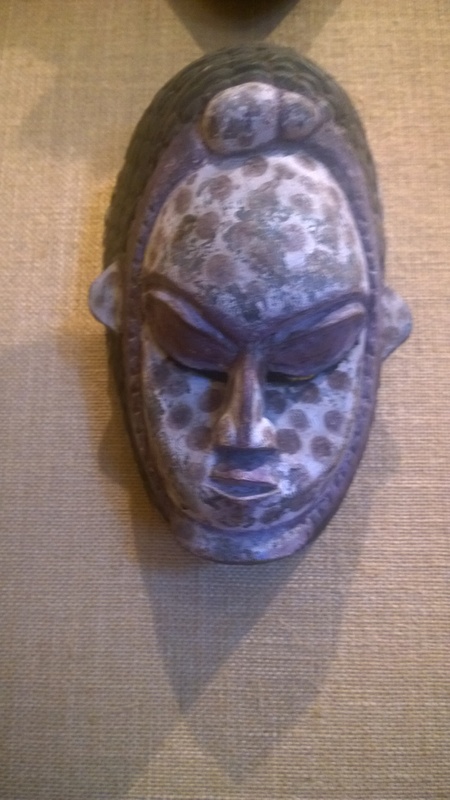 These museums, together with the legendary Beale Street (as described by Madison Moore above), expanded immeasurably our knowledge of the globalisation of Afro-diasporic rhythm cultures. They also provided us with a wider context for the phenomenon of Elvis Presley and a way to appreciate the deeper significance of the monumental kitsch that is Graceland. 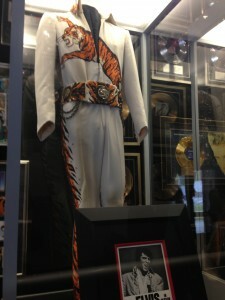 Elvis, who not only ‘sang like a Black man’, but, according to Ike Turner (another Memphis resident), was unique in also moving like a Black man’ seems a natural product of this crossroads of a city. Today almost desolate apart from the music tourist trail, Memphis and its beautiful art deco buildings and sweeping Mississippi waterfront emits an aura of the ruined sublime steeped in the sounds of an earlier time that still haunts the present through its persistent soundscape. In New Orleans I had already watched a hundred times the YouTube clip of ‘Crawfish’ from the early Elvis film ‘King Creole’, its vignettes of New Orleans architecture and the haunting call and response between Elvis’s smooth yet painful enunciation of the single word ‘crawfish’ and the melisima of the black woman’s call as she hawked her wares was a sonic preparation for what I understood through my Memphis education. 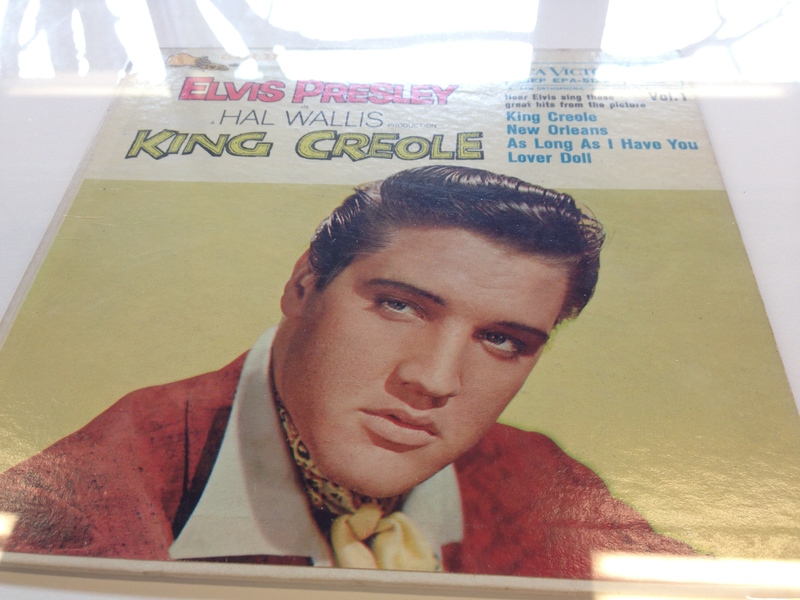 What did it mean for a young white man to act the part of ‘King Creole’? What dialogues of pain, yearning, anguish, desire for the other, and dissatisfaction with the self, were actually being articulated through that duet, ‘crawfish….’? And why the obsession with crawfish, what kind of a signifier of Louisiana life was this? 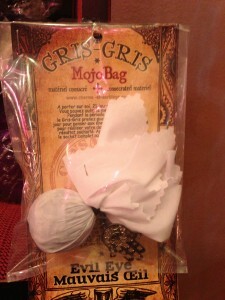 (you will hear the word in many a Cajun and Zydeco song). 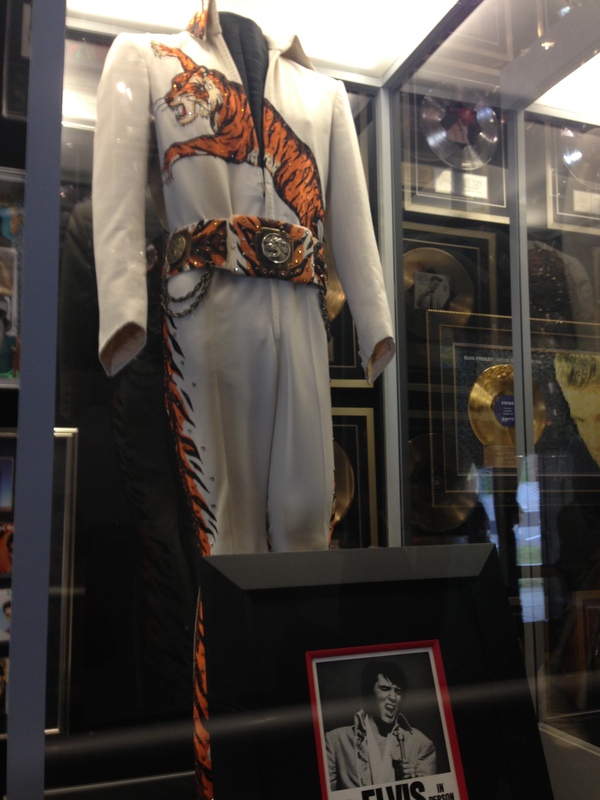 We drove into Graceland on a Graceland bus, watching a video of the King croon ‘Proud Mary’ (taking me back to my teenage years in Calcutta, when I had first stumbled onto the Credence Clearwater Revival version). The first thing that struck me about the interiors of the house was: ‘Oh my god, how inexpressibly vulgar!! 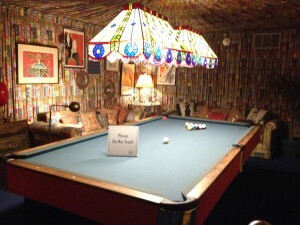 !’ The interiors were indeed in terrible taste, gaudy and showy and over the top, the excess spilling out into the other elements of the Graceland tour– the Cadillacs in the Automobile Museum, the rolling acreage with his horses prancing in the far distance, the endless corridors of gold and platinum discs, and the glittering and bejewelled costumes (not too far from the mardi gras costumes we saw in New Orleans and that Elina Djebbari writes about above). But there was a terrible melancholia to it all– a fragility that to me was the story of race relations in the United States of America. 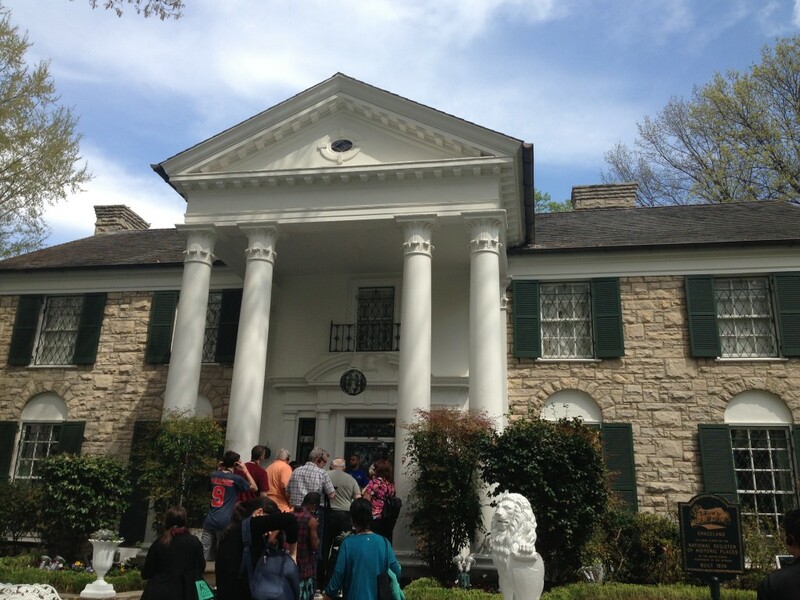 I left Graceland with my head full of unanswered questions about race, music and dance in the broader framework of African heritage rhythm cultures and global music. In my field notes I mused, ‘The relationship of all this to dance also remains to be clarified but maybe the more kinetic materials of the Dunham archive will help us understand a bit more.’ Indeed, that was the case– but the details must wait for another (moving) story. 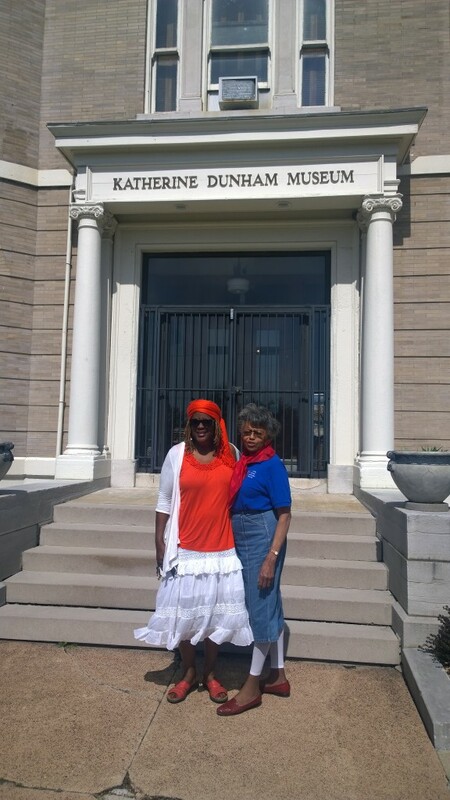 On Saturday we drove through the long and straight Route 64 from Carbondale to Saint Louis, searching for the Katherine Dunham museum (we were spending a week at her archives held at Southern Illinois University Library in Carbondale, so it seemed the right next step to take). The Museum is situated in the heart of East St Louis, and it opened in 1977 with the adjacent Children´s Workshop: it was Katherine’s project to create a school of arts where the children and teenagers of this deprived neighbourhood could benefit from high-quality training to improve the life of the community. 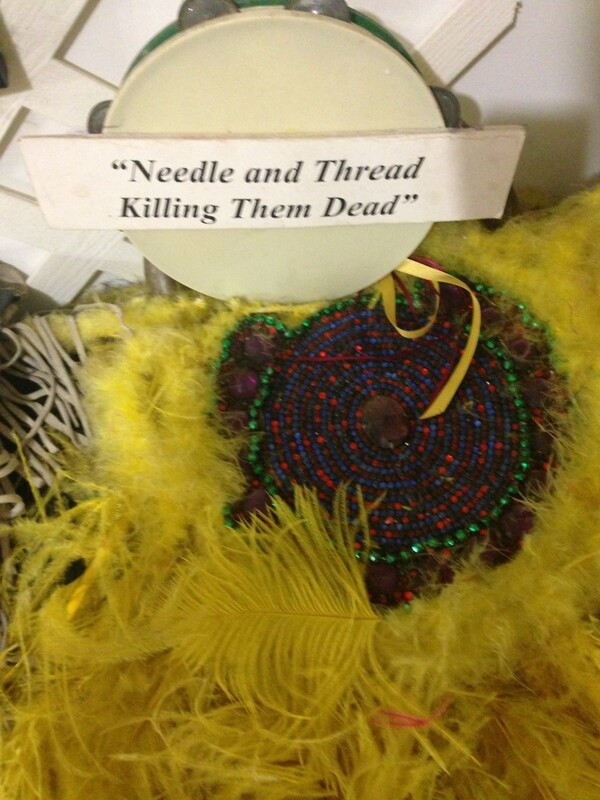 What impressed me the most is that it is actually much more than a museum: it is a dynamic project to keep Katherine´s message alive through promoting the empowerment of those who most need it and deserve it. We were warmly received by the teacher of dance, who started telling us the story of this beautiful building and how her wish to become a dancer had been frustrated until Dunham arrived in 1977. Pointing at her arm, she explained that when she was young it was not possible to build a career as a professional dancer with her tone of skin, and then smiled remembering how Katherine came to break the rules. 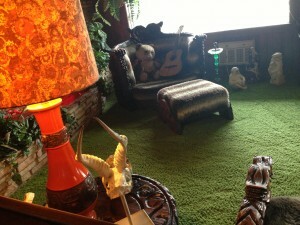 Her house was in the middle of the mythical route 66 that goes from California to New York, something more than appropriate for someone who passed the most part of her life on the road, plane and boat, travelling through the world. A few minutes later, Mrs. Leverne Backstrom, the curator of the museum, came to take us through Katherine´s dream. It was clear from the way both ladies spoke passionately about their cultural mission and their admiration for Katherine that this was much more than a job for them. 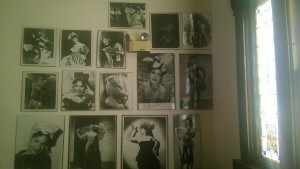 On the first floor there were plenty of pictures, books, and other witnesses of Katherine´s professional trajectory. 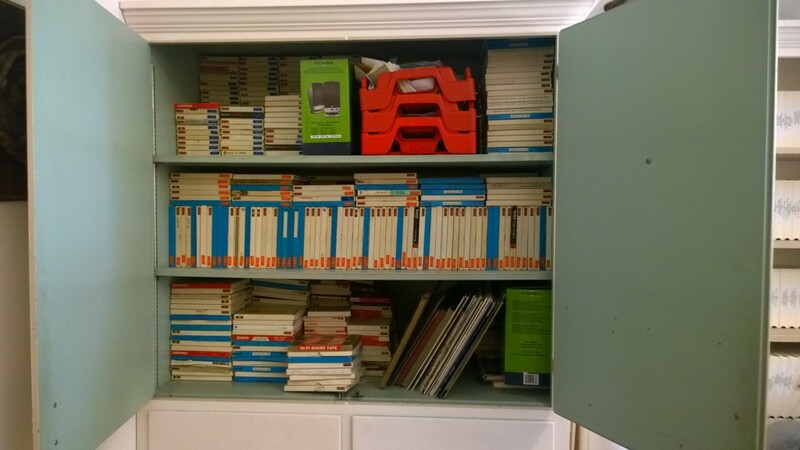 In one room we were shown a big cupboard full of…films!! The excitement didn´t last too long: as Mrs. Backstrom told us, none of these old films had been digitized and there was no founding to do it: a treasure that cannot be opened….for the moment, at least…..! The Children´s Workshop also has funding problems: as our guide explained to us, there´s no money to produce events, continue with some programmes that had to stop, paying taxes, and more. A girl of around 8 years old dancing and moving with pride in front of the building made me think that, in spite of all the difficulties, the project is still alive– as long as there are still children with a passion for dance, and a few dancers and other volunteers working hard to make it possible: but no doubt that political will would also be very helpful. This situation left me with a bitter-sweet sensation after leaving the museum, and with the hope that things will get better and Katherine’s dream will come true in the future. As we have learnt in this US trip, the best way to feel happier is through music, dancing…and Mama´s food! 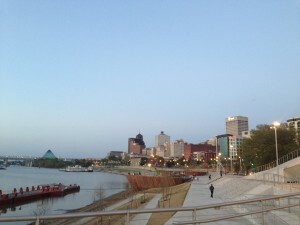 That´s why we went to have dinner at Sweety Pie’s in St Louis. Opened by one of the chorus singers of Tina Turner, the place is so popular that one needs to wait in a long line for about half an hour to reach the counter. The line is shepherded by a muscular bouncer who waits at the entrance as if it was a disco, and the place is full of families that enjoy gathering around massive amounts of chicken, beef and fish with sides such as sweet potato, black eye peas, corn or rice for a price of between 10-20 dollars. An intensive and complete day! 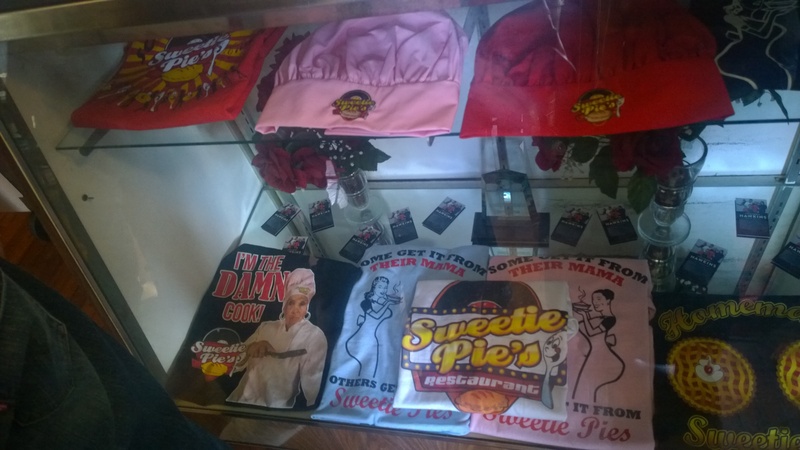 Sweety Pie’s merchandise, St Louis. Photo courtesy of Livia Jimenez Sedano. Building on the music of New Orleans and Louisiana, the sorrow of the blues, the ecstasy of gospel, and the rhythms and cadences of everyday life in the Delta as it came together in this crossroads of Memphis– carrying on to the blues of Kansas City that developed during its heydays as a gambling paradise on the road westwards– and ending with the big city lights of Chicago where we danced away the blues to salsa at a range of venues across the city– all these experiences now constitute our new soundtrack, memory bank, and food for thought! This Moving Story was written and compiled by Ananya Kabir with contributions from Elina Djebbari, Madison Moore, Leyneuf Tines and Livia Jimenez. Thank you to the dream team for a wonderful three weeks on the road!